Let's Say It Loudly, White Terrorists They Are!! You are here: Home / News / Let’s Say It Loudly, White Terrorists They Are!! Let’s Say It Loudly, White Terrorists They Are!! (ThyBlackMan.com) An Australian white nationalist man who says he hates immigrants acted out his hate by murdering at least 49 people and seriously injuring dozens more. He directed his ire at two mosques in the New Zealand city of Christchurch, after posting a hate-filled manifesto that was replete with anti-immigrant and anti-Muslim ranting. It is important to know that it was a WHITE man, not a person of color, who perpetrated the most deadly mass shooting in New Zealand. It is essential to call out the WHITE terrorists that too many are too timid to call out by name. They are called nationalist, but when they go on gun-toting rampages, especially in places of worship, this is not nationalism; it is terrorism, plain and simple. Why are so many so willing to put adjectives around heinous acts, and to describe these terrorists as mentally ill. Why are so many willing to soft-pedal the abhorrence of these acts? To his credit, the 45th President did acknowledge the “horrible massacre” in New Zealand, which is much better than he did when Heather Heyer was murdered in Charlottesville, and 45 said that there were “good people on both sides” of that insanity. 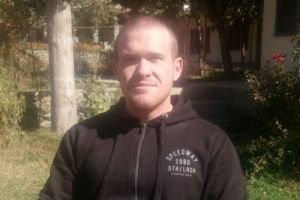 The Charlottesville murder of Ms. Heyer is relevant because the man who slaughtered 49 people in New Zealand embraced our President as a symbol of renewed white identity and common purpose.” Had 45 a speck of sense, he might have addressed his inclusion in the shooter’s manifesto and condemned it. But how could 45 actually condemn the actions of a white nationalist when, heretofore, he has embraced them, riled them up, supported them, and even used the word “nationalist” himself when it has suited him. The New Zealand terrorist also referenced Dylan Roof in his manifesto. Roof, of course, was the man who has been convicted for his attack at the Emanuel African Methodist Episcopal Church in Charleston, South Carolina. The way that law enforcement chose to coddle Dylan Roof, and the way the media sought to “explain him” is a textbook case in how white privilege works, even for terrorists. Upon his arrest, Roof was taken to get a fast-food meal. Perhaps his blood sugar was low, and someone hoped to attribute his terrorism to the fact that he may have forgotten to eat! In any case when have you know an African American perpetrator of ANYTHING to be fed BEFORE he gets to jail? There is, of course, a professional courtesy that “law enforcement” officials treat WHITE terrorists, while the FBI stirs up anti-Black sentiment with their bulletins about “Black Identity Extremists.” The word TERRORIST has rarely been applied to Dylan Roof (instead, he is described as a murderer and white supremacist) but his massacre of nine Black people in church was nothing less than terrorism. But if we call Roof a terrorist, we must also look at the police who coddled him as terrorist-enablers. We have to look at the media who rushed to explain his background as terrorist-explainers. We have to ask WHITE people why such terrorism is acceptable. Let’s consider the massacre at the Tree of Life Congregation in Pittsburgh last year. The assailant, Robert D. Bowers killed 11 people and wounding several others, including four police officers. For all the talk of the anti-Semitism that supposedly comes from Muslims, African Americans and others, it was a WHITE terrorist who killed all those people at the Tree of Life Congregation. But for all the talk we hear about terrorists, we rarely experience people calling terrorists just what they are! A white man kills 49 at two mosques. A white man kills 11 at a synagogue. But the people who are being accused of hate are Black and Brown. What if Black, Brown (Muslim, Palestinian, Latino) and Jewish people decided to fight the white supremacy that permeates our nation? Then, do you think, we could all get along? We may not all agree, but we must call out the WHITE TERRORISM that leaves too many dead or maimed. We must say “enough” to a President who fans the flames of white nationalism, thus white terrorism, for sport and to inflame his base. When will he stop? When will it end? And, equally importantly, when will some folks call white nationalism for the terrorism that it is? It is time to use sophisticated technology to help eradicate white supremacy, and white nationalism world wide.